I haven’t used a four-season tent consistently before this year, previously opting to take one of my sturdier three-season tents out for winter excursions. 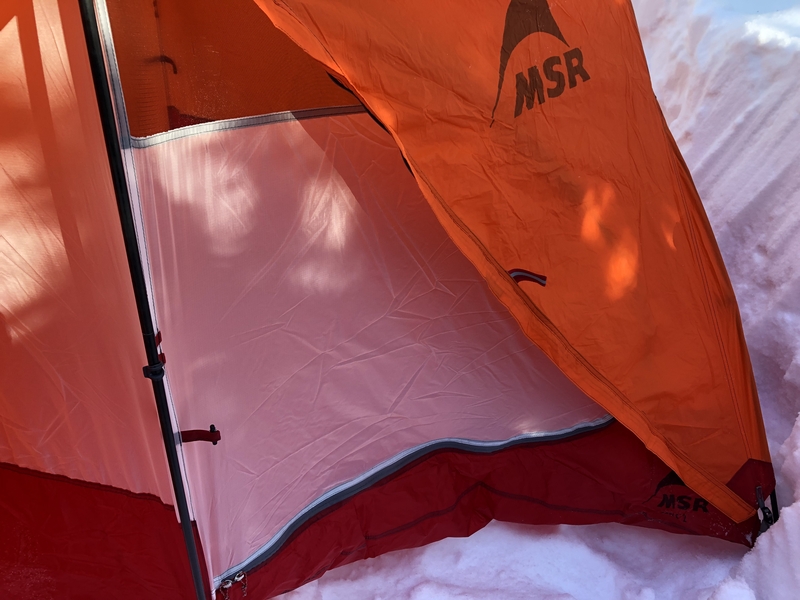 The MSR Access 2 is essentially a beefed-up version of a freestanding two-person backpacking tent, with burlier components and a sturdy structure optimized for winter conditions. MSR advertises this as a ski touring tent, as it’s on the lighter side for a four-season tent. The tent has two doors, two vestibules, and the only mesh are two “windows” on either door, allowing the tent to hold heat better. With an interior space of 29 square feet and two vestibules at 17.5 square feet (total), the tent is smartly designed to maximize interior space. Category: Semi-freestanding, but we pitched this without the stakes a few times and it was stable. Capacity: 2-person. BUT. This tent is roomy. We slept with three people in here a few times and it fit us all easily. The pads were overlapping, but the humans were not. Materials: Fly is 20D DWR-treated ripstop nylon. Floor is 30D ripstop nylon, treated with Durashield for waterproofing. Mesh window in an otherwise solid tent body. Winter in Montana. So long, much snow, and very cold… but still so pretty we want to get out into the woods. Conditions ranged from early season with low snow and 20s-30s, to later season with four feet of snow and nights dipping below zero. We didn’t experience a ton of wind or stormy nights this winter. We had to dig out four feet of snow at this site, yet my trusty companion is still smiling. Winter tents are also known as four-season tents, and I tend to use the terms interchangeably. 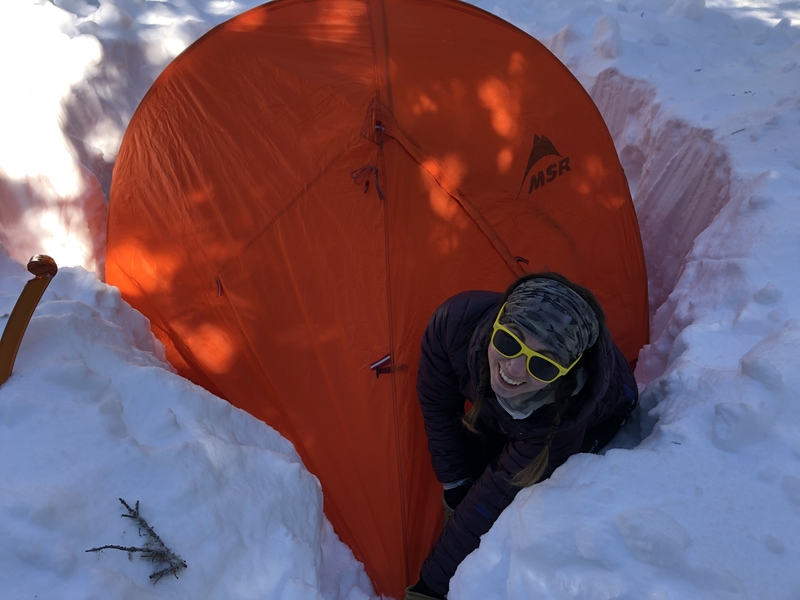 I don’t know many people who choose to use their winter-optimized tents during the warmer seasons though, as four-season tents are by nature bulkier and heavier than a three-season tent. Winter tents stand out for a few reasons, including their ability to withstand harsh conditions (high wind and heavy snow loads) and are built with superior protection from the elements. These tents are often dome-shaped, which helps prevent snow loading and will also hold up better during storms and high wind. 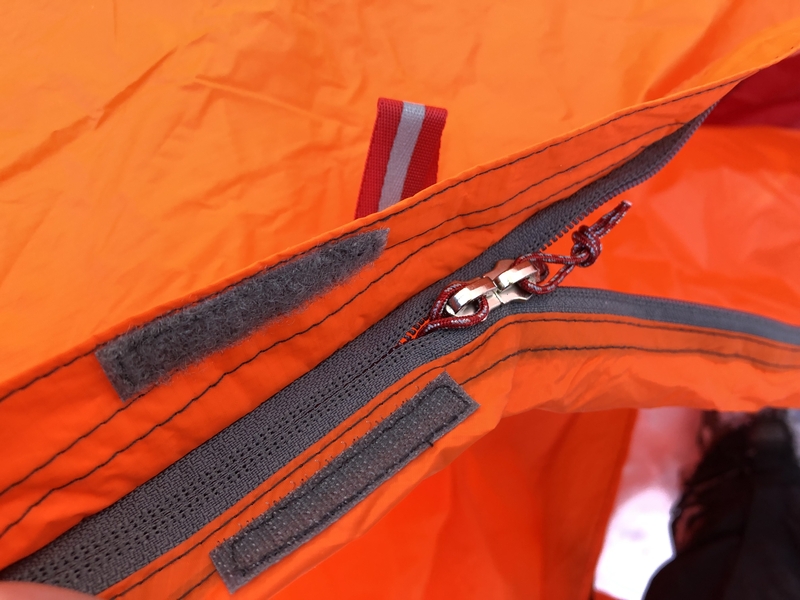 The tent bodies might have less mesh and more robust zippers and fasteners. Winter tents should set up quickly and intuitively, as you’ll often want to get out of the elements quickly upon reaching your campsite. Two doors and two vestibules: Gone are the days where I’ll suffer through a single-door, two-person tent. The doors are easy to get in and out of, and the vestibules are spacious enough for protecting gear and stuffing feet into frozen boots. Fully enclosed tent body, with two mesh windows: Fully enclosed tent walls, but two small windows on the door sides so you don’t feel too claustrophobic. Interior pockets on head and foot ends: These mesh pockets span the width of the tent, which is spacious and secure. Not sure why more tents don’t have full-span pockets. They’re luxurious. Poles built to resist freezing and cracking: The pole system is built from the ultra-durable Easton Syclone Poles. These still felt lightweight for how sturdy they are, and the material is built to withstand subfreezing temperatures without compromising the structural integrity. The pole system is built for stability, and comes in two separate sets. Spreader bar and dome shape: The horizontal spreader bar is my fave. It gives you more headspace without a major weight penalty, and extends the top of the tent far enough out for additional shoulder room. 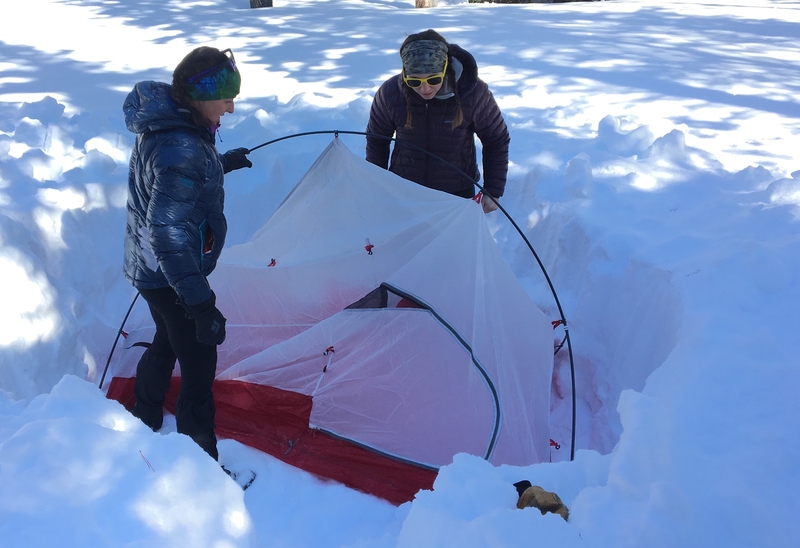 The tent has a *dramatic* dome shape for resisting snow loading and increased stability. Do I look confused? I am confused, but that’s not SUPER new. Despite some initial confusion about the poles, it’s an intuitive pitch and we were able to snap it into place before our fingers froze. The zippers and hooks are also slightly larger than on three-season tents I’ve tested, and I was able to keep my gloves on. My testing partner wore mittens and had to take them off to get the hooks and fit the poles into the fly and tent body closures. It doesn’t have any buckles at all for the pitch. 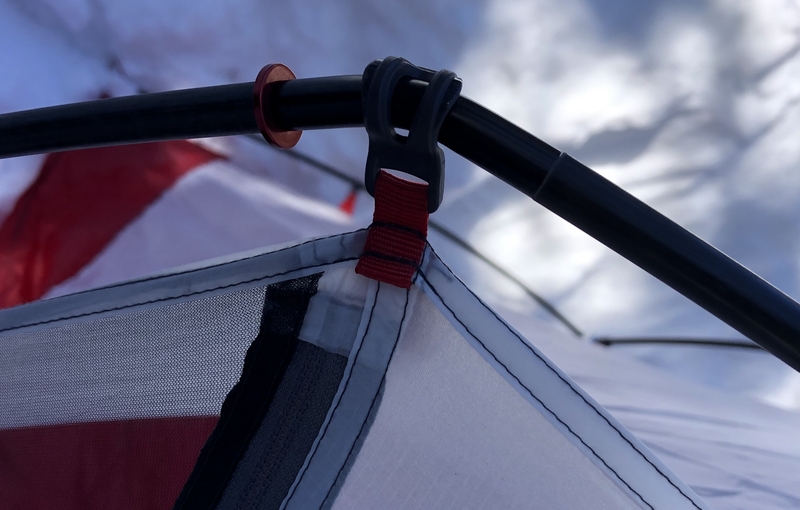 Instead, the poles fit into metal loops attached to the corners of the fly and tent body. These are easy to secure and adjust. This was a three-person night. Like I said before… this tent is big. We put three people in here comfortably. I was on the outer side during our three-person trip, and was able to steer clear of the tent walls fairly easily. 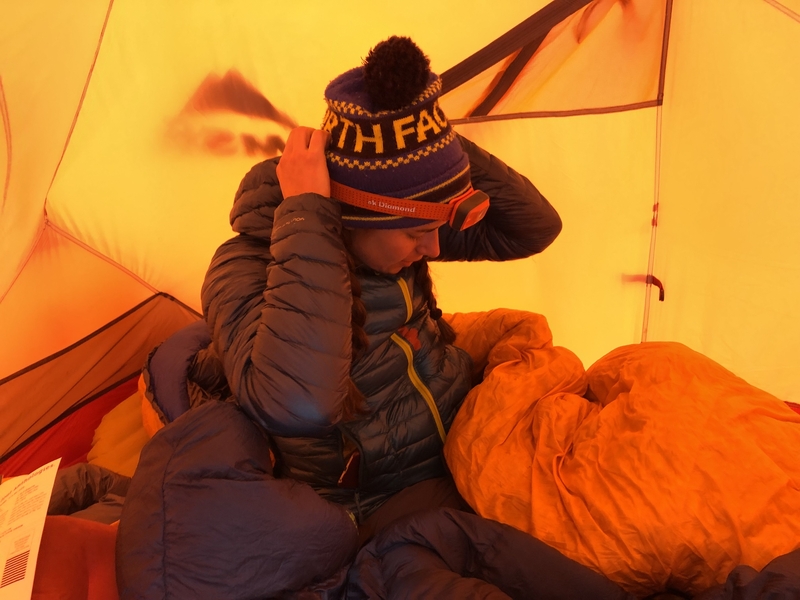 The walls pitch steeply, which helps with snow loading, and the tent feels incredibly sturdy, even on the trips when we didn’t use the stakes. The larger interior is welcome for winter camping, when you’ll be bulkier with layers, your sleep systems are more robust, and there will likely be delayering and shifting. Breath-turned-to-frost example on the blue sleeping bag. Your breath and body will be warmer than the outside air, and when you breathe out during the night, it turns to frost and contributes to condensation buildup. Since the very nature of a winter tent is for more enclosed protection, that comes with the side effect of increased condensation buildup. This can be mitigated by staking the vestibule as taut as possible, and utilizing guy lines. Staying away from the sides of the tent are also important. We did experience condensation buildup in the Access 2. 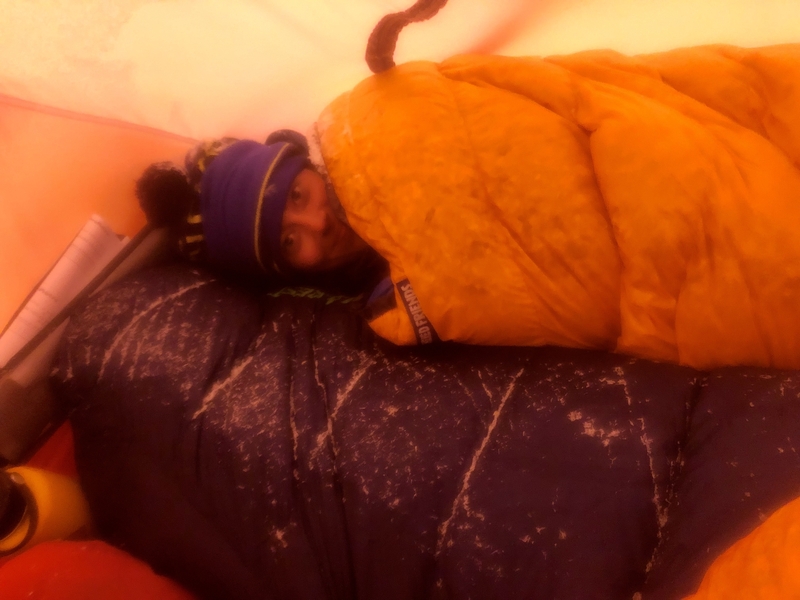 The condensation froze, and was like a sweet little snow flurry inside the tent when we got up in the morning. Hefty zippers; hook-and-loop backup closure for the fly. There’s ample protection from the beefed-up fly materials, and the tent itself is easy to get in and out of. 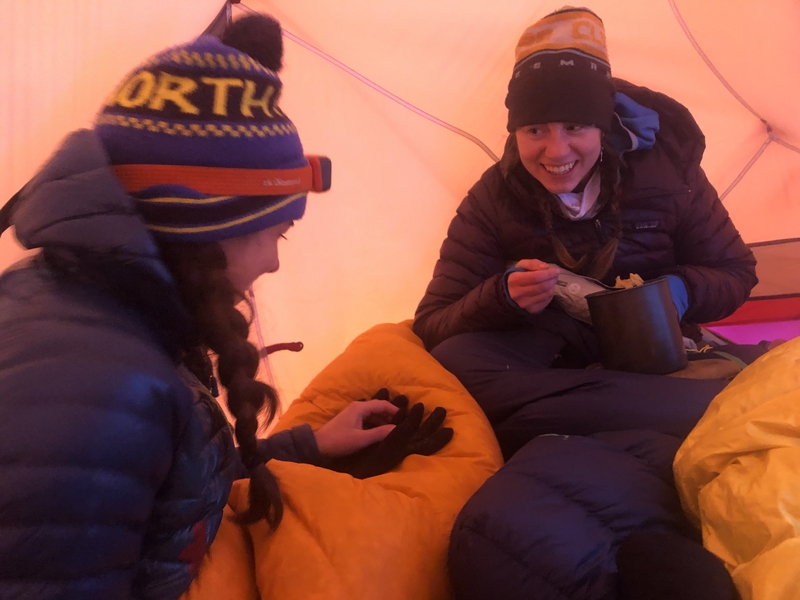 You’ll be moving faster (read: frantically) during frigid excursions in a desperate bid to pile into your sleeping bag as fast as possible, and you don’t want anything standing in your way. The zippers move easily and are larger than UL or three-season fasteners, and the shape of the doors mean even the most down-packed, clumsy camper can get in and out quickly. The fact that the tent walls are solid (as opposed to mesh) keeps heat trapped better, but does impact venting. The components and build of this tent feel more secure than three-season tents, with the pitch never seeming wobbly or loose. The steep sides and roof offloaded snow with ease, and the pole structure and frame is incredibly strong. The steep walls and dome shape all contribute to the stable framework, along with added protection from external conditions. There are minimal buckles and finicky parts to the pitch, which is a blessing when dealing with a snowy campsite and frozen fingers. At four pounds, this is on the lighter side for a two-person, four-season shelter that still has enough space for sitting up, changing, and eating. The pole system felt confusing at first, since I’m used to single-hub setups, but once we figured out the two parts it came together intuitively. We experienced condensation buildup throughout testing, but I’m not sure how that can be avoided in a fully enclosed shelter with dramatic temperature disparity between interior and exterior. 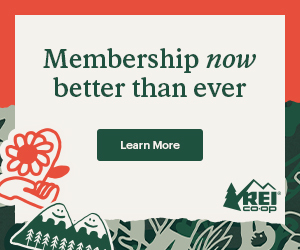 Wait… can I use my three-season tent during the winter? Yeah, sure… in some conditions. Keep in mind it will load snow differently than a four-season tent, and will not be as warm, sturdy, or efficient at shedding snow loads. If you’re heading out into intense winter backcountry conditions, I have to trust you have the gear setup for it. If you’re planning a PCT or AT thru-hike and need to get through the Sierra or the Smokies? Your three-season tent will do just fine. 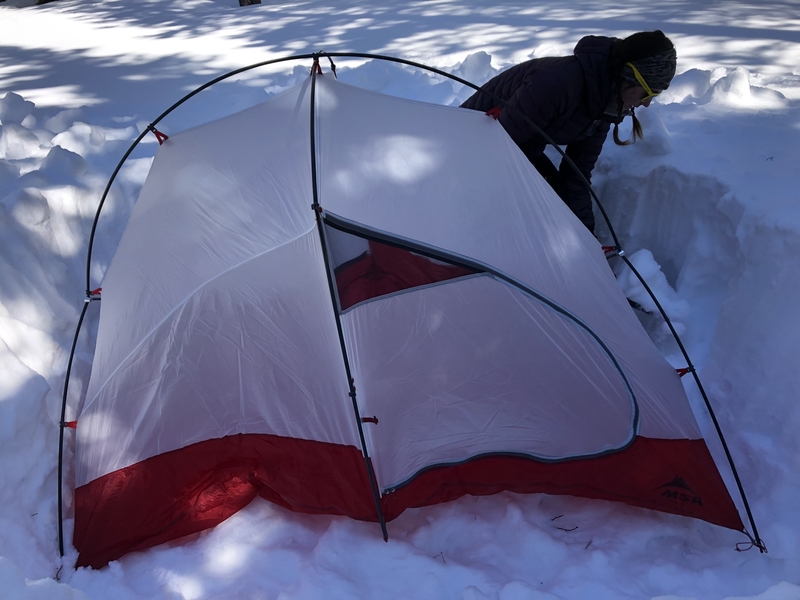 If you think you’ll be using a three-season tent frequently during snowy conditions, consider choosing one with some structural features of a four-season tent, such as generous vestibules, steep walls, and a stable frame. Staking a tent in the winter might prove difficult without snow stakes or four-season options. You’ll want to bury your stakes sideways in the snow, and really pack it in around them. Obviously this is more difficult in the powdery snow we see here in Montana.